Film Night: ‘Powerful’. Sunday, December 14th 7.30pm. 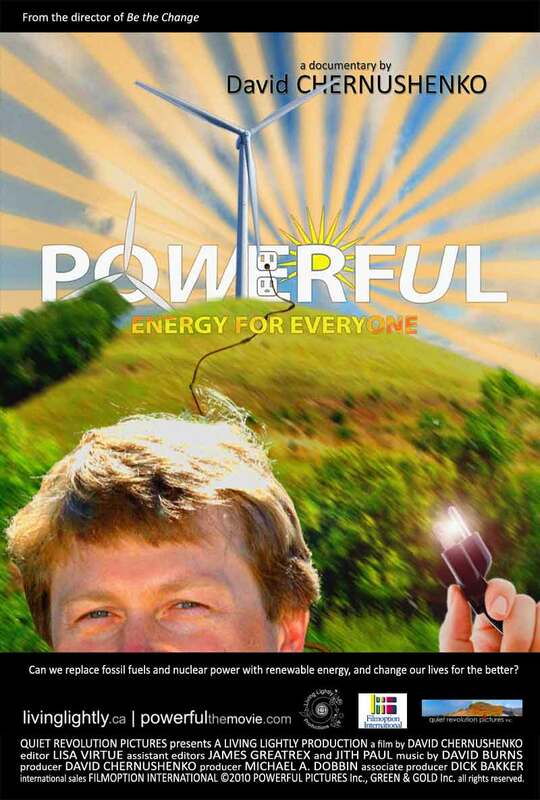 In ‘Powerful’, green economy educator David Chernushenko embarks on a global journey to examine the alternatives to the conventional energy system, experiencing the critical resistance being met along the way. Tackling the spin of the big energy lobby and, equally, dispelling the myths of a ‘green utopia’ Powerful is a candid examination of what a sustainable future could look like. From amazing innovators, eccentric eco-activists to average communities completely powered by renewable energy, David will begin to discover that the true power is in the political, economic and democratic change that the clean energy revolution can deliver. Run time is 90 mins: you can read more and watch a preview at http://powerfulthemovie.com. The showing takes place on Sunday 14th December at 7.30pm. The venue is St Mary’s Church, St Mary’s Road, Ealing W5 5RH. As usual entry is free, but we will ask for a donation after the film to help us to cover screening costs. After the film we will serve our usual selection of hot drinks and cakes and explore how we can start a green energy revolution in Ealing.